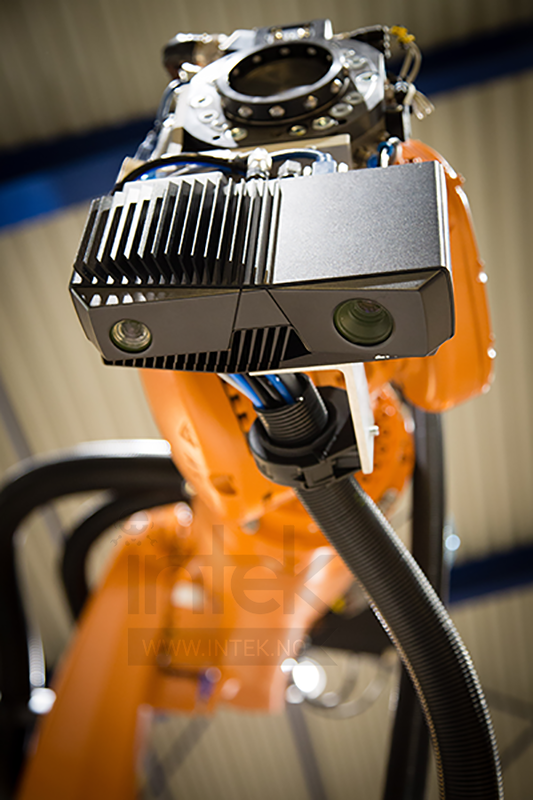 At Intek, exceptional engineering meets enabling technologies through the most experienced robotics team in Norway. 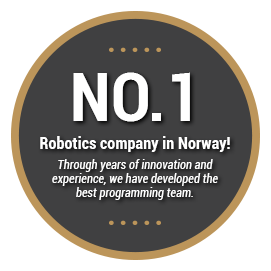 Based in Raufoss, at the heart of one of the most advanced and most innovative high- technology clusters in the world. WE HELP OUR CUSTOMERS MASTER AUTOMATION, BY CREATING INDUSTRY LEADERS. We have worked across most industries, including defense, marine, seafood, shipping, automotive, agriculture, fast moving consumers goods, oil and gas, energy storage, pharma, and construction. At Intek, you get layers of innovation passed across decades of projects. As a customer you will benefit from our passion and drive for providing solutions complying with your current and future needs. We put our pride in finding the best solution. 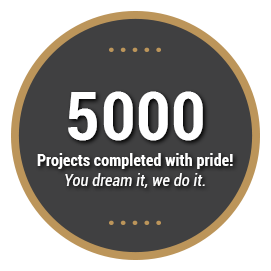 Intek is a total integrator and can assist the entire project implementation. 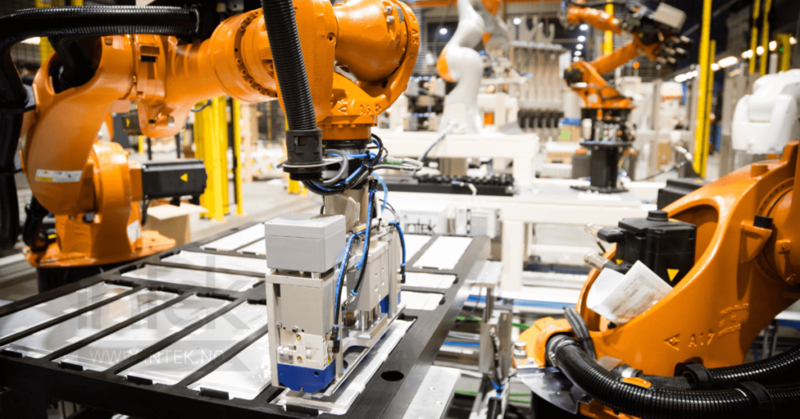 The goal is not robots and automation – the goal is to find the right solution for your manufacturing process. With that said, we don’t think robotics is robotics. It’s Intek. We develop new software alongside the robotics – it’s the fastest way to the perfect manufacturing solution. 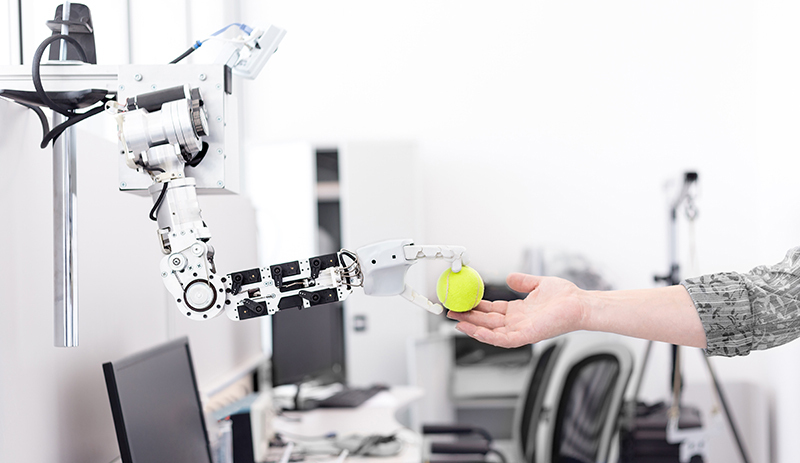 We develop and manufacture robots, software and automation for a variety of industries. It’s about industry 4.0 and tomorrow’s manufacturing processes. Artificial Intelligence and intuitive interaction between people and machines make the world more efficient, greener and safer. The dangerous jobs, the hard work, the time-consuming jobs – we are developing the machines that can handle them. Without software, the hardware is just an empty shell. A passion for technology. It is our mission to help customers gain an advantage in their field by delivering state of the art automation solutions. To make this happen, we have an accomplished development team dedicated to keeping up with and exploring the latest trends in the world of automation; be it AI, internet of things, robot vision, control systems or robotics. The best part – it’s not just their job, it’s their passion! It is a time proven fact that proper training and confident employees give better efficiency and utilization in the case of unforeseen issues in a production machine. We offer a wide range of training for your employees to make them fit and ready for your new production equipment. We have courses for beginners and advanced users, as well as custom training specific to your business and equipment. We provide support and service in a system based on our customer’s needs. Request support by phone, mail or directly at our web page, and reach all of our technicians through one approach. We guarantee a fast response that is solutions based on needs. We track past requests and solutions to obtain the whole picture of your process. There are different levels of SLA, with remote support possible by AR-technology and TeamViewer / VPN. It’s the true Industry 4.0-support. Intek Engineering AS is a second-generation family company established in 1980. 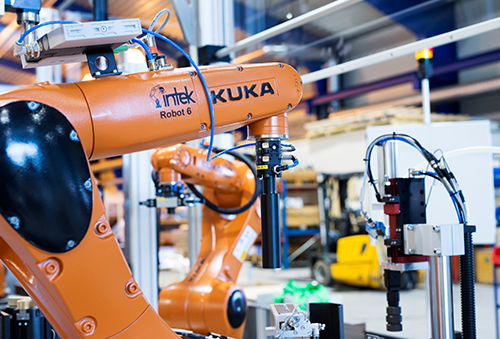 With more than 30 years of experience supplying robotics solutions, Intek has earned a leading role in the industrial robotization and automation in Norway. 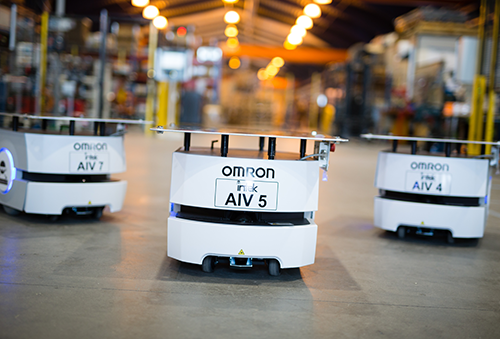 We have a combined in-house knowledge of almost 400 years of robotics technology experience. We have always provided our customers with reliable solutions for high uptime, accuracy, flexibility, and profitability that are competitive in the international market. Located in Raufoss, close to the most advanced and productive industrial clusters in Norway. To keep up with the high cost of manual labor in Norway, we are proud to provide an automation degree of up to 100%, where others stop at 40% and in rare cases ­up­ to­ 60%.­ This ­requires­ smart ­and ­flexible­ solutions. We provide a new mindset on how to seamlessly connect all the processes. At Intek, you have innovation on top of innovation on top of decades of projects where we have stretched the limits of what‘s possible. One of our strengths is our culture of thinking “outside the box” to create flexible solutions to the benefit of our customers. We are passionate about what we do and proud to be “Robot geeks” and we simply just love making customers love us!